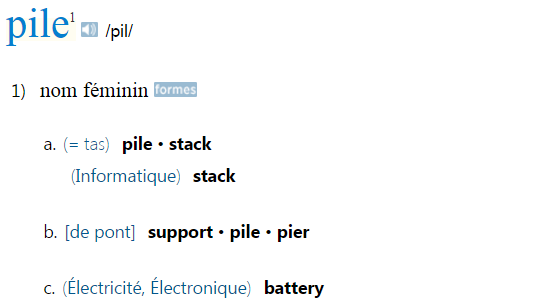 Il y a une pile de livres. 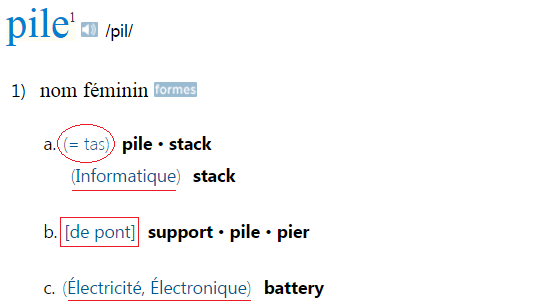 J'ai marché sur une pile. There's a pile of books. I walked on a pier. So the French translations are Je cultive des fleurs and Les fleurs poussent vite. Prepositions are especially tricky when it comes to dictionaries, because they're a matter of grammar much more than vocabulary. You might think finding the translation for, say, à would be straightforward, but that is not the case. So for prepositions in particular, a bilingual dictionary just isn't enough - you need to look beyond vocabulary to grammar, especially when a verb precedes the preposition. And keep working on improving your French grammar, as that will help you use the dictionary even more effectively! 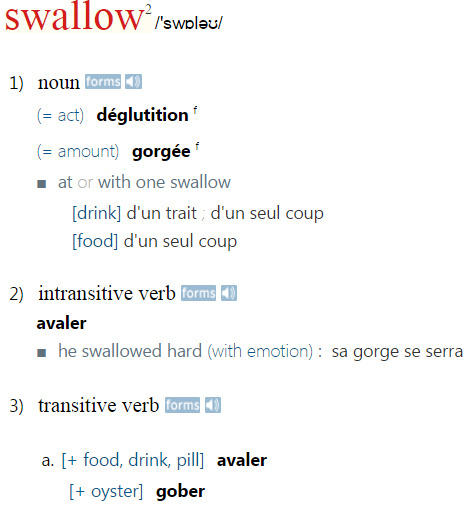 *Screenshots courtesy of Le Grand Robert & Collins online dictionary (subscription). 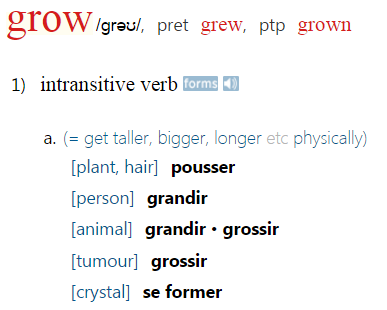 For a great, free French dictionary, try WordReference.